Will The Turn Your Fortune Slot Actually Turn Your Fortune... The Right Way? Will The Turn Your Fortune Slot Actually Turn Your Fortune… The Right Way? 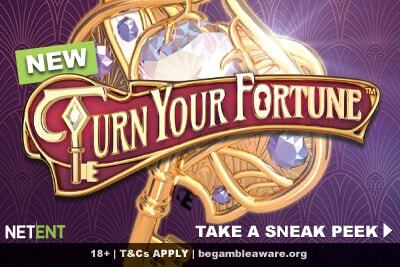 NetEnt have announced the release of their new Turn Your Fortune slot machine on the 3rd of January 2018. Here's everything we know, and whether you'll be playing this new game come the New Year. Christmas is around the corner, and with the Jingle Spins slot coming and the branded Vikings game making headlines, NetEnt will no doubt have a happy Holiday. But that doesn’t mean they are resting on their laurels, already announcing two new slots for January, the first of which is this Turn Your Fortune mobile slot. We’ll be taking a closer look at the Strolling Staxx slot coming on the 24th of January in another post, first, let’s take a look at the game that boats brand new and very different game mechanics. Is Turn Your Fortune slot any good? Not quite what you expected? Neither did we if we are honest. In a portfolio full of colourful characters and interesting fruit machines, this is… well… a little dull. It’s meant to have a French art nouveau feel that gives it a sense of opulence but instead makes us reminisce for games like Da Vinci Diamonds Masterworks by IGT, which are decades older. The good news is that when played on mobile or online, sometimes the graphics pop in a way that the videos just can’t show. In which case, we hope that this is the case when it’s released. What is the Turn Your Fortune slot? Turn Your Fortune is a 5 reel 4 row 40 fixed betline video slot with a multi-level bonus game which grants you instant game wins and free spins bonuses. Basically, whether you like this game or not will very much depend on whether you like the look of that little code box by the side of the reels. If we are going to be honest, we are not exactly jumping up and down in excitement about this one. Usually, new video slots by NetEntertainments are something to be celebrated, but this one lack a little lustre in so many ways. Still, we like to be positive people, so let’s try and take a balanced view and see if we can find some gold amongst this 5 reel slot. We are not wild on this multi-step instant win game if we are honest. For one, it seems to take away all the attention from the 5 reels and 40 paylines of symbols. What are we going to care about getting any decent 5 of a kind win when all that seems to matter in this game are the scatters? 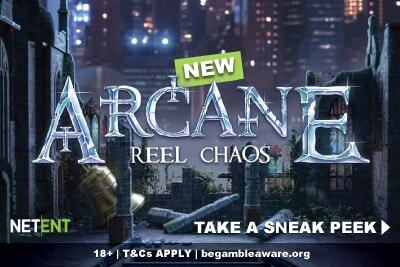 Two will give you a respin to try and get 150 times your bet, 3 will trigger free spins. Free spins, we should point out, where you don’t start with the ability to win big, as in the bigger multipliers in the avalanching Gonzo’s Quest slot. Instead you have to collect scatters, symbols AND keys to improving the instant cash prizes to win. You’ll have to get a couple of keys and collect 80 (yes eighty)symbols to climb the top of the tower, just to get those 2,000 times your bet. We are not optimistically cautious about this new mobile slot; we are downright sceptical. But, let’s see if we can dig out some treasure amongst our gloom and doom predictions. 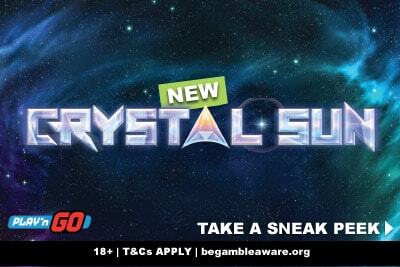 The free spins look like they could be good fun, especially as you are looking to collect symbols, so you’ll be watching the screen, eagled-eyed for stacks of symbols. If the Turn Your Fortune Slot gives you easy to trigger free spins, and considering that one scatter is all you need in the bonus to add an extra spin, you might end up getting caught up in the excitement of watching that little turn key spin and increase in prizes. It could happen. NetEnt are usually pretty good at surprising us. Should you play Turn Your Fortune Slot on 3rd of January? Do you know what happens on the 3rd of January? Absolutely nothing. Christmas is over. New Year is over. If you’re like 80% of the population, it’s probably your first or second day back to work after the holiday. The weather is dull, you’ve got a head full of good intentions you won’t fulfil in 2019, and you’ll probably be bored that evening. 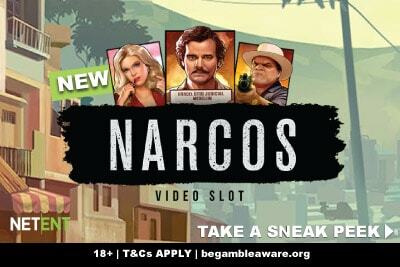 If you fancy gambling, we suspect that trying out the new NetEnt slot game will be tempting enough. So yes. We will be playing Turn Your Fortune, if not out of boredom, then mostly because we love slots and we review slots and that’s what we do. If we were you, we’d come back here on January 3rd and read our Turn Your Fortune slot review and find out if it’s worth spending your money. There’s so many great slot games out there, why waste your money when we can waste ours? Till then, we heartily recommend you check out NetEnt’s new Vikings slot at one of the best mobile casinos around Vera&John.